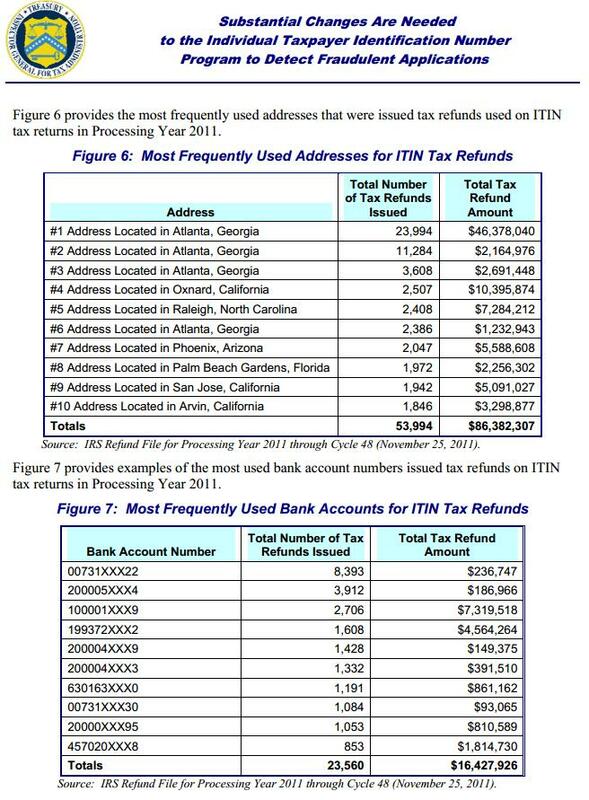 The IRS sent 23,994 refund checks totaling $46,378,040 to “unauthorized” alien workers at the same address in Atlanta. Maybe rather than targeting “Tea Party” activists they should have been targeting homes that collect more than twenty refund checks! The IRS also sent 8,393 refund checks to the same bank account.